Umesh Jadhav (Gulbarga) and A Manju (Hassan) will be contesting the ensuing general elections in April. 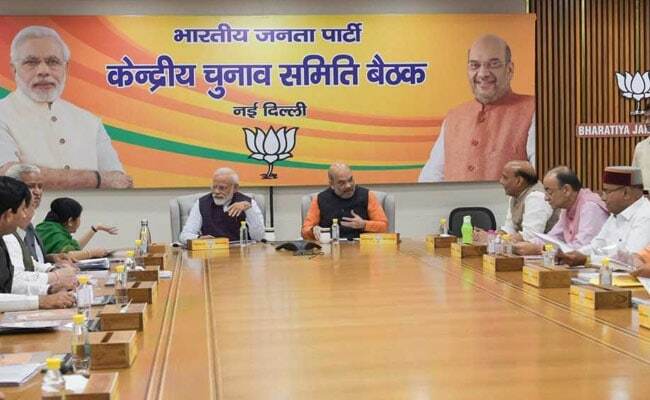 Among the key candidates named in the BJP's first list of Lok Sabha candidates include sitting MPs Pralhad Joshi (Dharwad), Anantkumar Hegde (Uttara Kannada), Shobha Karandlaje (Udupi Chikkamagaluru), Nalin Kumar Kateel (Dakshina Kannada), Pratap Simha (Mysuru), PC Mohan (Bangalore Central) and DV Sadananda Gowda (Bangalore North). State unit BJP President BS Yeddyurappa's son BY Raghavendra will also be contesting the Lok Sabha elections from Shimoga seat. The seat from the mining district of Ballari will be contested by Devendrappa. B Sriramulu won the seat in 2014 general elections, but the party lost the seat to Congress' VS Ugrappa in the 2018 by-election.